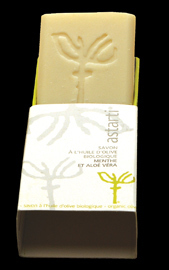 Astarti organic 100% Wheat Dry bread-Rusk (paximadi), from the ancient Greek wheat variety "Dikokko"
Organic olive oil forms the basis of our Astarti olive oil hand made soap bars. 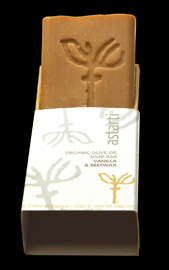 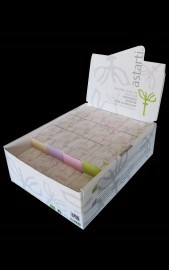 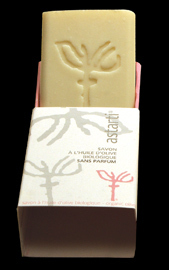 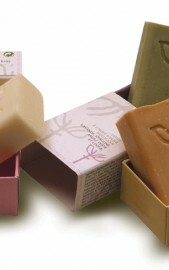 Astarti organic soap is produced without animal testing and is certified by ICEA (Italian Certification & Inspection Organization of Organic Products) in accordance with the regulations for organic cosmetics. 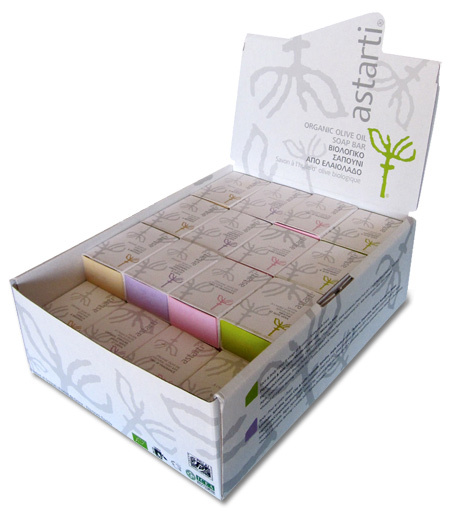 Available in great trilingual (Greek, French, English) 48 pieces cardboard showcase.